Myrobalans are a group of fruit originally used in India. Triphala, literally meaning ‘Three-Fruits’, is the Sanskrit name for the three fruits which are collectively called Myrobalans in Western texts. They are some of the most used medicines in all the medicine Traditions with the exception of TCM. These Three fruits, stoned, powdered, in equal parts, form Triphala of Indian Medicine. 4. Black Myrobalan: a small black type of immature Chebulic Myrobalan. 8. ‘All Conquering’ or ‘Victor’-type; has all 6 tastes; best, but said to be unobtainable in modern times. Ayurveda is based on the principle of three ‘Dosas’ or Humors, which form the basis of both physiology and pathology within the body. They are attributed with both tonifying and alleviating each of their respective humors. So, for example, Chebulic Myrobalan lessens symptoms of Vata (Wind) while tonifying and restoring those with a Vata (Wind) temperament, thereby being a true regulator. The same follows with the other two fruits, the Belleric for Kapha (Phlegm), and the Emblic for Pitta (Bile). Therefore, taking the 3 fruits in equal portions balances the Humors while relieving their excesses. It is for this reason that Triphala is both taken as a safe, household tonic, while simultaneously being used as a basis for some of the largest and most complicated formulas used to treat chronic and obstinate diseases. The use of the Myrobalans in Western Pharmacy happened via the Arabs. Around the 10th century, the Arab physicians lifted the ancient Greek works of Galen and Hippocrates to a new level, while also integrating knowledge from Indian medicine, and older Arab and Persian sources. Over the coming centuries, the writings of the Arabs became absorbed into European medicine, the majority of the most used formulas used over the past 1000 years in Europe being of Arab origin. The earliest European Pharmacopoeias were largely based on the formulas of Arab physicians. Because the Greeks recognised 4 Humors, the Arabs required a Myrobalan attributed to the Melancholy Humor. Thus, the use of a small Black Chebulic Myrobalan (called ‘Indian’ or ‘Black’ Myrobalan) was used for the Melancholy Humor. And as the Chebulic Myrobalan was associated with Vata (Wind), they used a larger, yellow Chebulic Myrobalan (called ‘Citrine’ or ‘Yellow’ Myrobalan) for Bile. The Arab formulas based on Triphala were called as Tryphera or Triphera in European writings, obviously derived from the Arab or Indian names for these formulas. It must be noted, however, that several of the formulas which were called Tryphera did not contain Myrobalans. Renodeus said that the name denotes ‘delicate’, and so some formulas called Tryphera seemed to denote a delicate medicine rather than a formula based on Myrobalans. In Unani texts, Triphala formula are referred to as Itraphal, of which there are a number still used today. Vitamins: in particular, Emblic is a rich source of a very stable form of ascorbic acid. As stated above, there are a great many Triphala–based formulas used in Ayurveda, Tibetan Medicine, Unani (Arabic) Medicine, and Traditional Western Medicine. In fact, it is only Chinese Medicine that has not used these medicines as standard, commonly used medicines. Now, we will explore some of the important Triphala-based formulas. This is a nutritional tonic which regulates the 3 bodily humors. It increase digestion, gastric motility, promotes bowel movement, regulates the nerves, is strengthening, and enhances immunity. It is specifically good to regulate digestion and may be used for chronic constipation. It is a good cardiovascular system tonic, useful in chronic urinary diseases including Diabetes. It is also a good anti-inflammatory, and is useful for any type of obstruction in the body. Dose: 1–3 grams, usually with Honey, Honey and Ghee, mixed into Sweet Almond Oil, or otherwise some oily or sweet mucilaginous substance to moderate its dryness. Mix to form a paste. This is regarded as the best way to take Triphala. Triphala alone can be drying, as is apparent if the powder is taken alone. When combined with the appropriate vehicles, in this case Honey and Ghee, this overly drying effect is ameliorated. These two vehicles are themselves unique in Ayurveda. Sweet things tend to increase Phlegm. Honey is regarded as the only sweet vehicle that lessens Phlegm. Therefore Honey is the best vehicle for Phlegm constitutions. Likewise fats tend to increase Bile. But Ghee is regarded as the only fat that doesn’t, and is therefore best for Pitta (Bile) constitutions. The combination of Ghee and Honey benefits Qi and Yang without increasing Bile and Phlegm. In Unani, Ghee is typically replaced with Almond oil. Useful for Digestive disorders, as a mild laxative, Catarrh, Rheumatism and Arthritic disorders, heaviness of the Head, etc. In Traditional Ayurvedic texts it was said that if 3 grams of Triphala was taken every morning with Honey and Ghee for one year, the person would live to 100, devoid of disease and the signs of age. *Trikatu is composed of equal parts of Ginger, Long Pepper and Black Pepper. This compound more strongly regulates digestion. It is better for cases with Fluid, Phlegm or Damp, and is regarded as effective for Obesity. Again, it is best to combine these with Honey and Ghee (or Almond oil) into a paste. This can be used as a powder, or mixed with Honey and Ghee as above. This formula is a good all-round tonic, supporting the Qi and Yin in particular. Research in India has demonstrated that people with marked fatigue for any number of reasons benefited greatly after taking this compound for several weeks. Grind the herbs and form a paste with the Honey and Ghee. This is used as a nourishing, strengthening tonic; it is a nourishing Aphrodisiac and promotes Intellect. It is very useful for the Elderly. These are prepared into a medicinal Ghee and Honey paste. This is a powerful nourishing tonic from Tibetan Medicine. The 5 medicines added to Triphala are often used together in combination in Tibetan Medicine. They are all tonic medicines, which strengthen the body. It is regarded as a health tonic that promotes Longevity. This formula may be emulated by replacing the Ayurvedic tonics herbs with Chinese tonics Dang Gui, Ginseng, Asparagus root and Soloman's Seal for example. With sufficient Sweet Almond oil and 120 grams of Purified Sugar, form an Electuary. It is Carminative, cleanses the Brain, and is a Brain Tonic. Used for Brain Weakness. With sufficient Sweet Almond Oil, and 400 grams of Impure Sugar, form an Electuary. Cleanses the Brain, used for Weakness of the Sight, and Constipation. With sufficient Almond oil, form an Electuary. Powder all the herbs and Myrobalans and mix to a paste with the Ghee; Boil the Raisins, sieve, and extract their pulp. Add this to the Sugar and Citric acid, add a little water, boil gently to dissolve the sugar; then mix the 2 pastes together. (i) Relieves the Brain of impurities; (ii) relieves Constipation and strengthens the Stomach and Bowels; (iii) counteracts persistent Colds; (iv) maintains Hair color, regular use restores hair color. Dose: 5–10 grams with a little water. Avoid sour foods while taking. Belleric, of each 1 oz. Confect of Anacardium 2 oz. Used for all types of Vata/Wind diseases, especially Arthritis, Sciatica, Rheumatism etc. Also for Obesity and high Cholesterol. It has proven Anti-viral effects. Dose: 500-750mg, 2-3 times daily with warm water. White Sugar Syrup 2 ½ kg. Powder all the herbs except for the Bdellium. Heated the Bdellium in 3 liters of water, and when soft, strain. Add this to the warm sugar syrup, mix well, and remove from the heat, and add the rest in powder and stir well. Used for Paralysis, Facial Paralysis, Rheumatism, and Arthritis. It is a nerve tonic and anti-catarrhal. Dose: 5 grams in the morning with 250 mls. of milk. Powder; mix with Honey and Ghee to form an Electuary. It increase Sexual potency of those with a Cold-moist temperament. Used as a Laxative in Hemorrhoids. Triphala is also an important basis for various metal-containing formulas of Ayurveda, Unani and Tibetan Medicine. Because of the tonic and strengthening effects of Triphala, it supports the stomach and digestion and helps maximise absorbability. Taken with Ghee and Honey for 1 year, promotes life span, intelligence, alleviates senile diseases and diseases in general. The Myrobalans are some of the most important and useful medicines in Traditional Medicine. 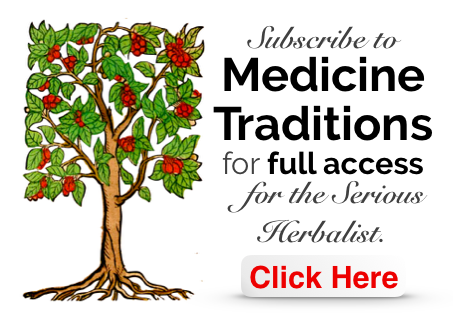 There are whole classes of Triphala based formulas in all Traditions, with the exception of TCM. They are regulators, tonics and adaptogenic, and are used in the treatment of some of the most severe and obstinate chronic diseases. Importantly, they are cheap and readily available.